Fans won’t see the next-generation Subaru WRX STI for another year. Here’s a 2020-2021 WRX/STI preview. The 2020 Subaru WRX STI launches this fall but STI fans won’t see the next-generation performance model just yet. It will be another year before the all-new fifth-generation WRX STI makes its global debut. Insider reports tell us the 2020 Subaru WRX STI will keep its current platform, get minor upgrades and will see yet another Limited Edition trim. 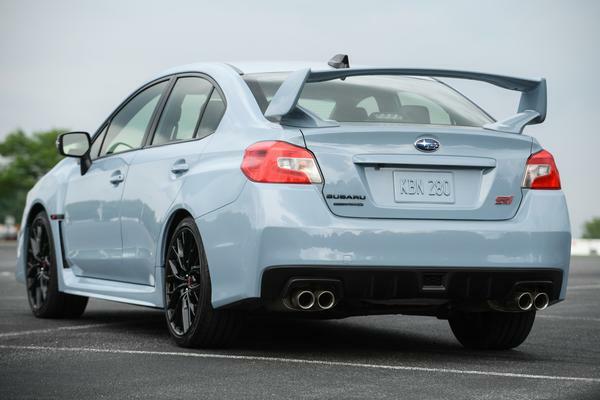 Just like the Series.Gray WRX STI with a Cool Gray Khaki exterior, Subaru will release another special edition STI with a new color for the 2020 model year. Look for the sport-tuned WRX and performance-tuned WRX STI to come in a new shade exclusive to the performance sedans: Ceramic White. The 2020 Subaru WRX Series.White and 2020 Subaru WRX STI Series.White will likely be limited to 1000 examples total, 250 examples for WRX STI and 750 WRX. The Ceramic White will be different than the Crystal White Pearl offered on the current model with no metallic or pearl in the paint. Like Series-Gray, the 2020 Series.White Limited Edition WRX and WRX STI will get exclusive Crystal Black Silica badging and foldable exterior mirrors as well as 19-inch alloy wheels with black finish. The 2020 Subaru WRX Series.White will likely get a similar Performance Package option, and 2020 WRX STI Series.White will come with the Recaro option package with improved suspension upgrades. Don’t look for any engine upgrades on the standard STI or the special edition 2020 WRX STI. Subaru will keep the 310-hp EJ25 2.5-liter turbo boxer around one more year. Performance fans will have to wait until next year before the next-generation Subaru WRX STI arrives as a 2021 model year. We’ve heard it will get a new FA-series-based turbocharged Boxer engine when it finally makes its global debut. Reports say It could get an upgraded 2.4-liter turbo-Boxer sourced from the all-new Ascent family hauler but no details have been leaked yet. The last-of-this-generation 2020 Subaru WRX and WRX STI will make its dealer launch this fall after the all-new 2020 Subaru Outback arrives this summer. The Series.White Limited Edition WRX/STI models will arrive soon after. A little to late. Better be a 350 plus motor and stay under the $40 k mark or its another pocket rocket turbo car with no substance. It would help to understand where this info is coming from. 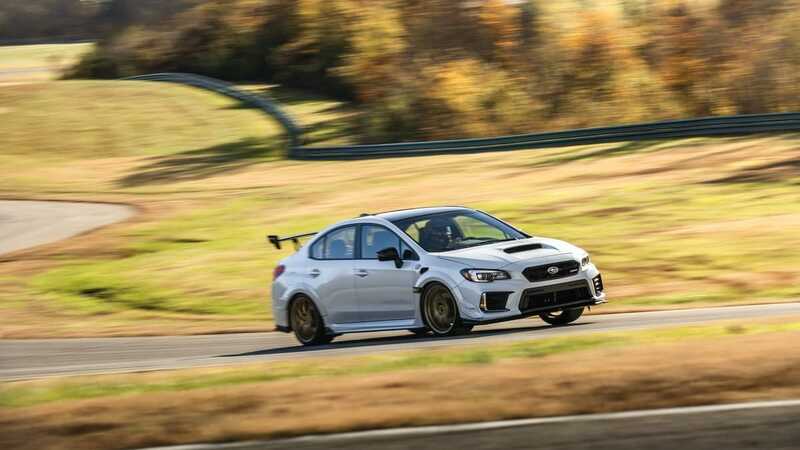 Headline: "Next-Gen 2021 STI Details Leaked" Article: "Reports say it could get 2.4 from the Ascent, but no details linked yet" if you follow the linked story, you get an article titled "Rumor Mill" written by this same dude where he cites a "report" from Road and Track. if you follow the link to that "report", it's a Road and Track article about the next gen BRZ/FR-S that has one off-handed mention of the STI. All it says is "Road & Track contributor Bozi Taterevic speculated last year that a version of this engine could power the next WRX STI." So basically, last year some dude posted on twitter that he thinks the next-gen STI is getting the 2.4 FA motor. That's it. Everything beyond that is just clickbait nonsense. Figures. Back to the ol’ Wait-And-See mode. So comfortable, so familiar.